Connor Bourne, who has a 171-29 record during his high school career after pinning Eldorado’s Marques Anaya-Casarez in the 182-pound quarterfinals on Friday, will face Centennial’s Ike Edwards in Saturday’s semifinal round, which begins at 10 am at Bonanza. 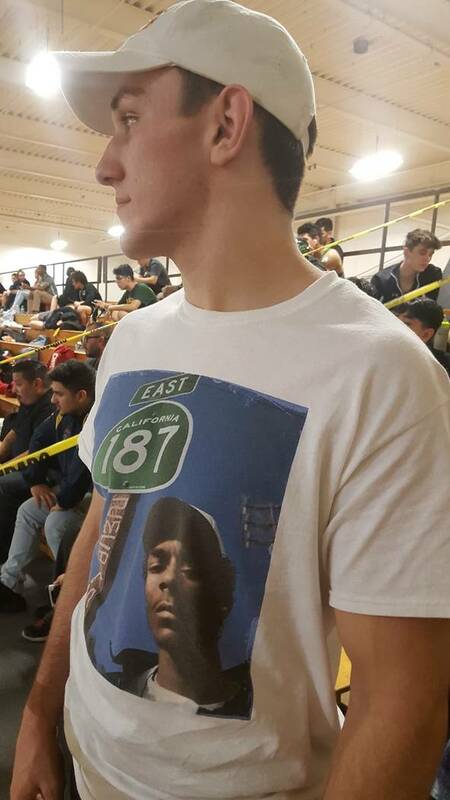 Most of Snoop Dogg’s lyrics are piercing, exactly like the glare the popular rapper serves on the T-shirt Faith Lutheran wrestler Connor Bourne wore on opening day of the Mountain Region tournament Friday at Bonanza High School. It’s a glare Bourne donned as he watched the event unfold, eagerly awaiting his matches. Bourne, who has a 171-29 record during his high school career after pinning Eldorado’s Marques Anaya-Casarez in the 182-pound quarterfinals on Friday, will face Centennial’s Ike Edwards in Saturday’s semifinal round, which begins at 10 am at Bonanza. Shadow Ridge leads the team competition with 86½ points, while Cimarron-Memorial isn’t far behind with 78. Faith Lutheran in a distant third with 54. And while it appears the team title will come down to either Shadow Ridge or Cimarron, everybody knows the road to the 182-pound title rolls through one guy. 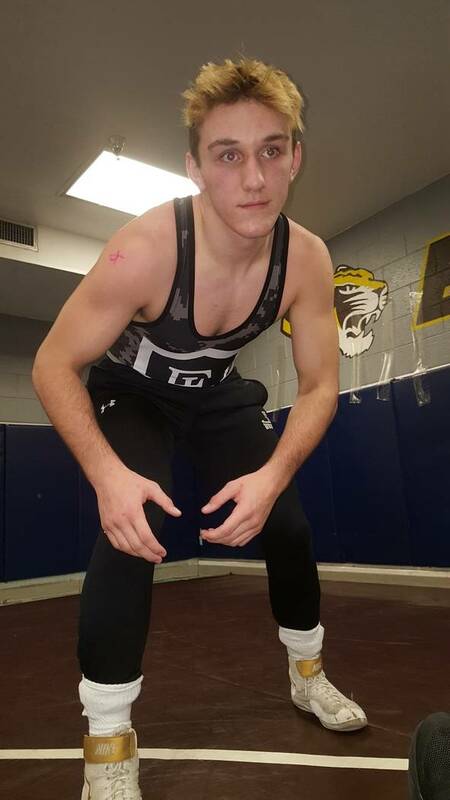 Bourne, who is 54-3 with 36 pins this season, has won three consecutive region titles — one at 170 pounds, the last two at 182. Of his 171 career victories, 109 have been by pin. It’s how he’s been his entire career, even when he was unsure of how he’d fare when first starting out as a freshman. Faith Lutheran coach Rayes Gonzales counts on Bourne in the wrestling room to make his job easier, whether it’s taking direction, or leading by example. Bourne conceded this has been one of the toughest weeks for him as he closes out his high school career, which is why he is trying to soak up every minute of every match. 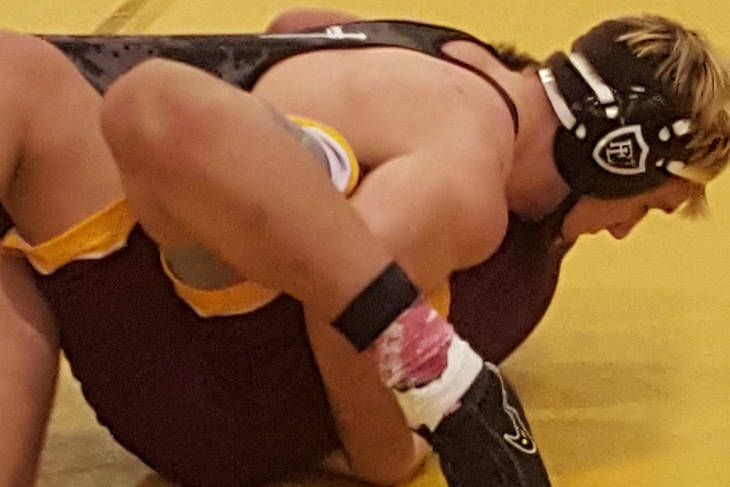 106–Duarte, RAN, p. Vernon, FL, 1:20; Najera, LV, d. Rosencrans, AV, 9-5; Watts, DP, p. Alejandro, CEN, 4:36; Gallardo, SR, p. Monzon, CHY, 1:19. 113–Gomez, DP, p. Kramer, CEN, 5:23; Villano, FL, p. Ackermann, AV, 2:11; Gerard, RAN, d. Creswell, CIM, 11-9; Soares, SR, received a bye. 120–Agabin, CHY, p. Suzuki, RAN, 0:59; Montoya, CIM, p. Watts, DP, 1:17; Gonzalez, DP, p. Saribay, PV, 1:47; Talledo, SR, p. Torres, AV, 2:41. 126–Estrada, SR, d. West, RAN, 7-3; Wilson, AV, p. Pectol, LV, 0:58; Everett, LV, p. Austin, CEN, 3:44; Curtis, SR, p. Rubio-Ramirez, ELD, 0:53. 132–Law, LV, p. Johnson, CS, 0:59; Driscoll, FL, d. Packer, RAN, inj. Def. ; VanRiel, SR, p. Stewart-Johnson, CS, 4:25; Rodriguez, CIM, p. Ruggeroli, FL, 3:19. 138–Kimball, CIM, p. Perkins, CHY, 4:22; W. Presser, SR, p. Dias, FL, 2:37; Lee, PV, p. Gutierrez, CS, 0:32; Vernon, FL, p. Rosa, AV, 4:54. 145–Rhoads, LV, p. Bogdanovich, FL, 0:54; Castellon, CIM, d. Pascual, 10-7; Anderson, SR, p. Federson, CHY, 3:48; Garcia; PV, p. Gurka, BON, 1:30. 152–Cook, FL, p. Hendry, ELD, 4:23; Hemintakoon, SR, p. Montenegro, BON, 3:15; D. Rodriguez, CIM, d. Alvarado, LV, 7-0; Tucker, AV, p. Deniger, RAN, 3:52. 160–Garbutt, CHY, p. Jewell, PV, 3:08; Rodgers, CIM, p. Leyva, CS, 5:30; Coffman, CEN, p. Vilches, DP, 1:33; Williams, SR, p. Moore, AV, 2:45. 170–Roach, LV, d. Garcia, CIM, 13-4; Perez, FL, p. Lefevre, CEN, 3:27; Mendoza, FL, p. Ludwig, CHY, 1:11; K. Presser, SR, p. Cruz, DP, 0:12. 182–Love, CIM, p. Dunn, LV, 5:55; King, SR, p. Wiggins, LV, 1:37; Edwards, CEN, p. Harrison, CHY, 1:08; Bourne, FL, p. Anaya-Casarez, ELD, 1:40. 195–Broadhead, LV, d. Murphy, CHY, 13-5; Hernandez, RAN, p. Garban, CEN, 1:46; Gallardo, SR, p. Tooks, CHY, 3:19; Griffin, CIM, p. Anderson, PV, 0:53. 220–Worthy, PV, p. Meza, RAN, 1:19; B. Rehmel, BON, p. Baldwin, FL, 1:23; Alip, CIM, p. Schiltz, LV, 0:47; Norris, CEN, d. Gledhill, 8-6, OT. 285–Hernandez, LV, d. Tulimasealli, BON, 6-5, TB; T. Tuinei, AV, p. Diggs, CIM, 0:54; Ieremia, CEN, p. Saldivar-Ruiz, ELD, 1:46; Alonso, CIM, p. Guadarrama, CHY, 1:16.